This eye catching necklace has been made from two intertwined forks. 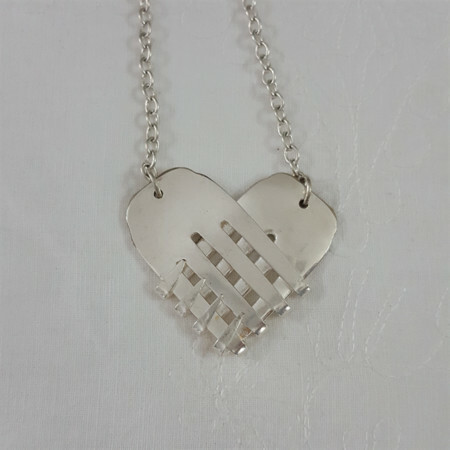 It resembles a heart or clasped hands. 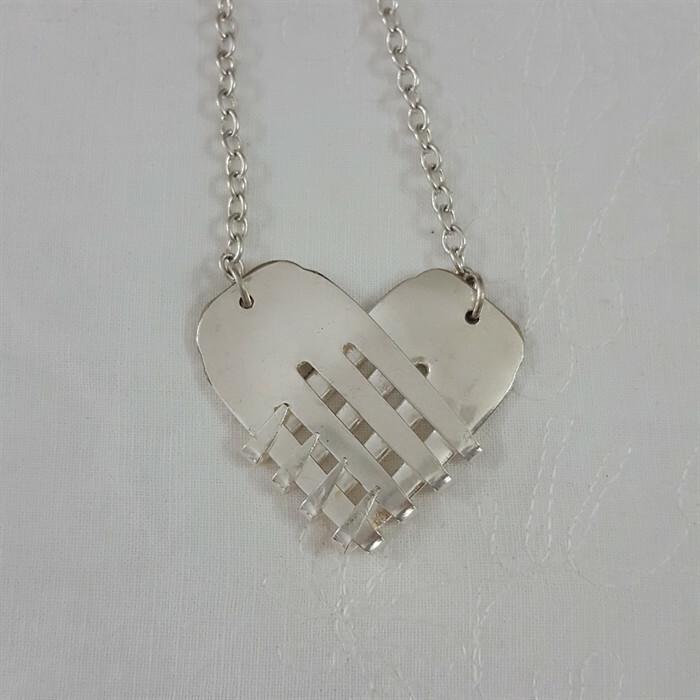 The pendant piece measures 5cm X 5cm and it is carried on an adjustable 55cm silver plated chain.